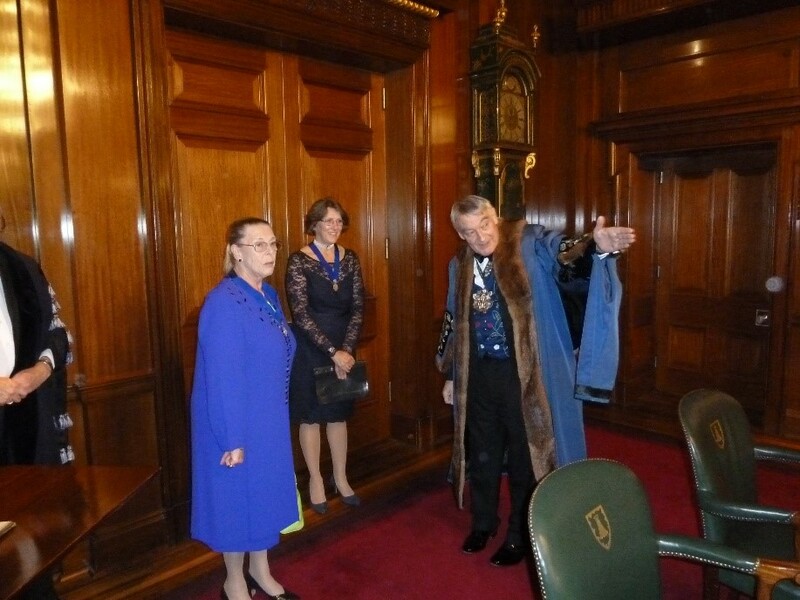 The Meeting of the Court of Assistants at Mercers’ Hall on Tuesday 5 th March 2019 was particularly noteworthy in account of the admission of the first ladies to the Court in the history of the Company.In a very low-key ceremony, Liz Elvin and Linda Palmer signed the Court Assistants’ Book (opened in 1888 and which had lain dormant for the last 47 years) and received their badges of office beforebeing formally welcomed by the Master. 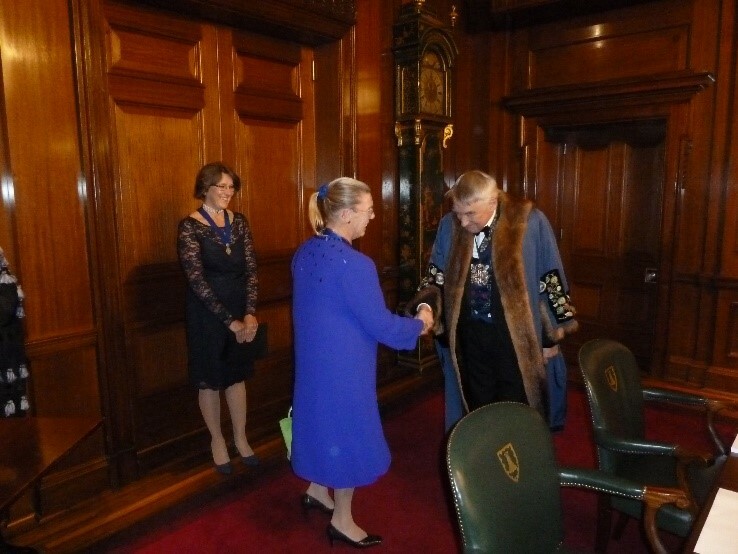 Both Liverymen will be well known to most Broderers: Liz was previously the Principal of the Royal School of Needlework and is a Trustee of the Broderers’Charity Trust while also being the ‘go to’ competition judge and critic on behalf of both the Charity and Company. Linda has a professional background in banking, having been a senior manager withHSBC where, amongst other achievements, she successfully led and opened the banks first operation in Russia.